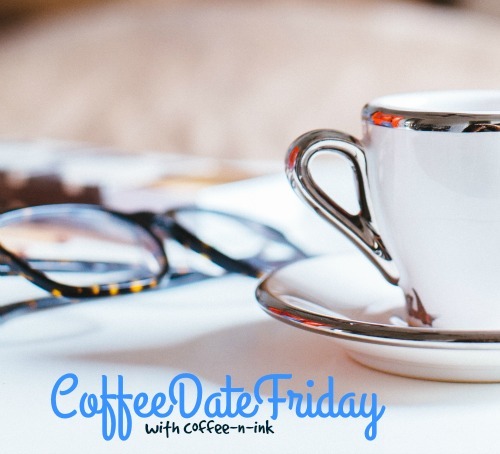 Joining my girl, Alissa, today for Coffee Date Friday. Join in on the best cup of coffee in Orange County at her place. She serves the best stuff around. ...you'd be lucky because I went to Starbucks this morning and picked up a mocha and panini to share. Since the winter drinks are gone, I'm at a loss at what to order. I always feel bad for the barista since I just stand there looking at the menu like I've never been there before. Yeah, I've become one of those people. I was addicted to the Chestnut Praline Latte all Christmas season long. Any suggestions on a new coffee drink to order? ...I'd tell you that I'm so proud of myself for getting through my first week of work. As I said yesterday, it was pretty tough leaving Annika after being with her so long, but I feel like I'm getting the hang of it now. It helps that my hubby is on bonding leave this month, so he's been bringing her to see me. The ladies at work are loving her, too! ...I would tell you that I have been a pumping machine. I've never breastfed this long for lots of different reasons with my older two, but I've been going strong for almost five months now. Holla! My adventures in breastfeeding have been all up hill and I'm so thankful to have friends that I can lean on with all my questions. My girl, Tausha, has been a fierce supporter and cheerleader. She knows so much about breastfeeding and has no problem when I ask her stuff. So happy I'm part of her tribe. Love that girl...um, you should def follow her! Thanks for having coffee with me today. I need to unload some. Tell me...what would you be unloading to me or celebrating if we were having coffee? If you write a post, leave the link in the comments. I love to read what y'all have going on. So...can't help with Starbucks, sorry not a fan. But also parenting a teen girl. Yes...it is defintely a hard job. There is no rule book, no guidelines to follow. But I think that you are an amazingly loving and open person and parent and will follow your heart and intuition and do what you feels is best. We all worry about screwing up our kids...I think that comes with the territory and discipline is always hard. Hang in there, you are doing a great job and don't worry, they don't stay teens forever. AND amazing at hanging in with the breastfeeding, that in itself is a whole other challenge. Love ya! Hey girl Heyy! Love it! Cheers to Coffee and you babe!